The versatility of the Proliner helps MatPlus achieve their mission! MatPlus Inc. located in Painesville, Ohio was founded with a focus on bringing high quality and cost effective foam products to the industry. 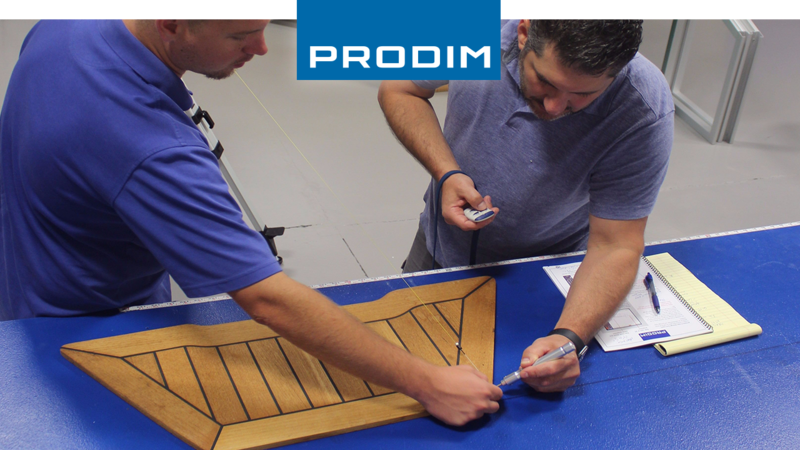 Although they specialize in making various foam shoe inserts, they recently purchased a Proliner 8 with Inverted Pen Technology (IPT) with the purpose of expanding their business to include boat decking. MatPlus prides itself on providing unrivaled service to each and every customer. Investing in the Proliner is another means to achieve this and will fit well within their mission. MatPlus could not bring their own Proliner since it was required for meauring on-site, so we used a Proliner 10IS instead.